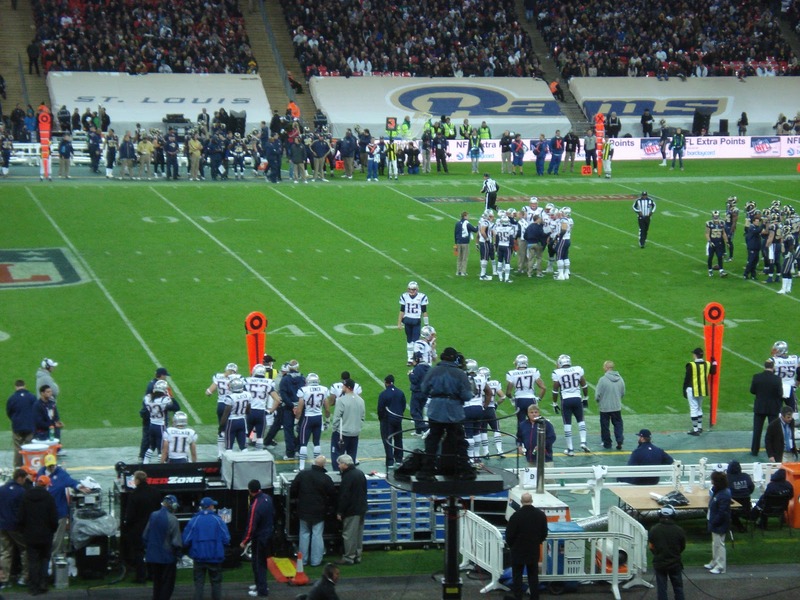 It’s as if Christmas came early this year … my home team, the New England Patriots, together with the hottest quarterback in the whole of the NFL, Tom Brady, came to visit me in London. 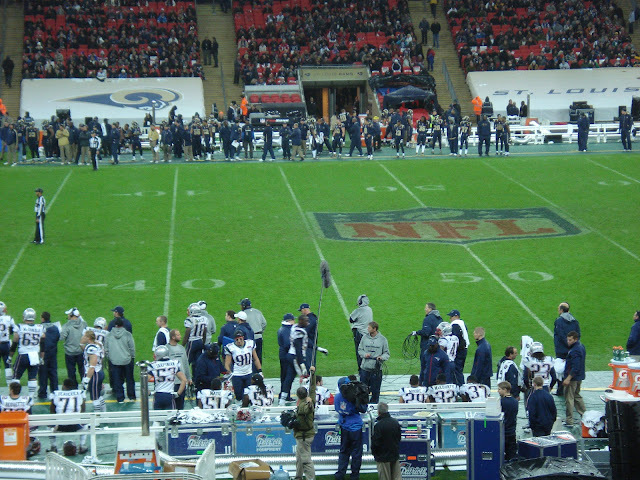 Well, ok, maybe not just me, but it was so exciting to have so many familiar faces from Boston here all weekend. I have been on entertainment committee for the last few days, showing around Boston’s PR and publicist guru, George Regan, as well as Tom Kershaw, owner of The Hampshire House Corporation and the bar that served as the inspiration for the setting of the TV series Cheers. 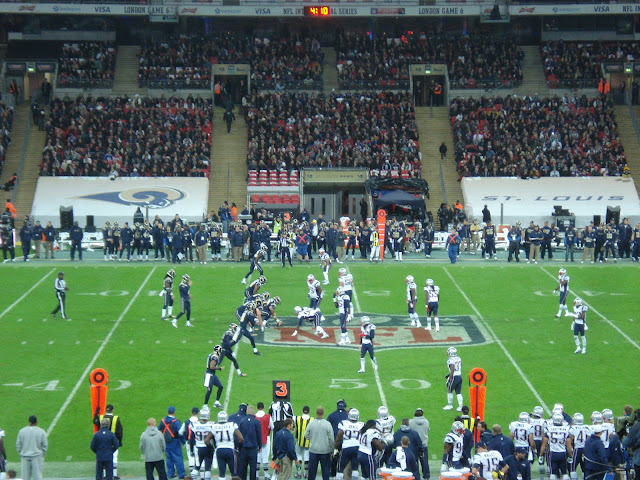 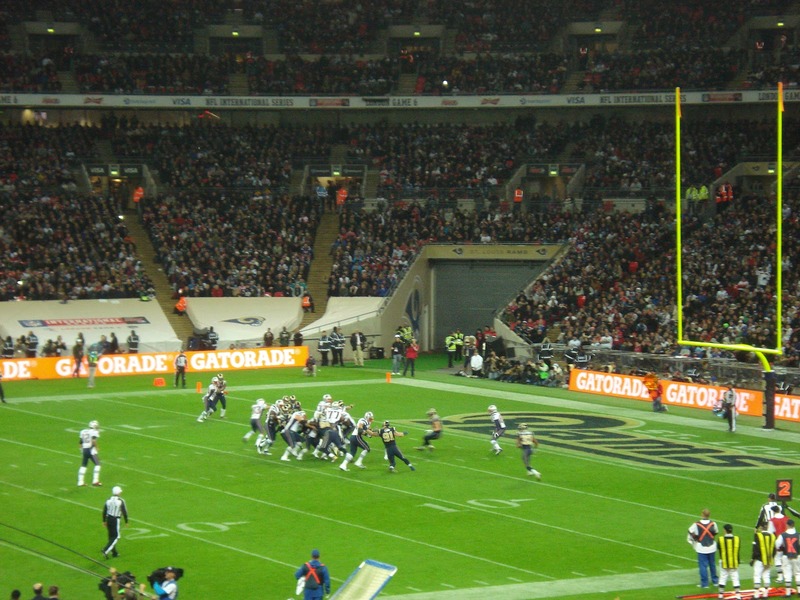 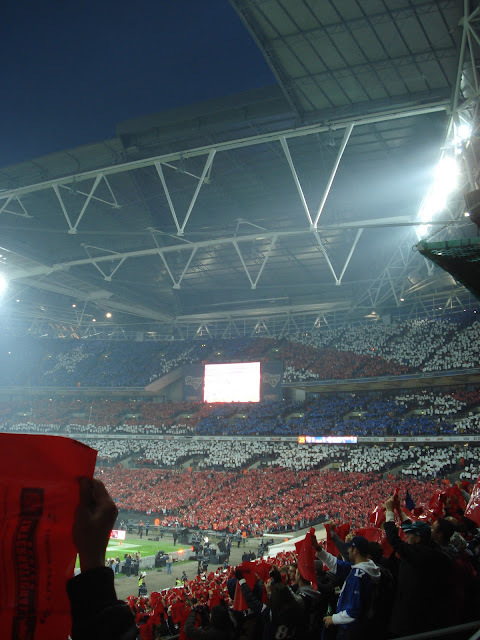 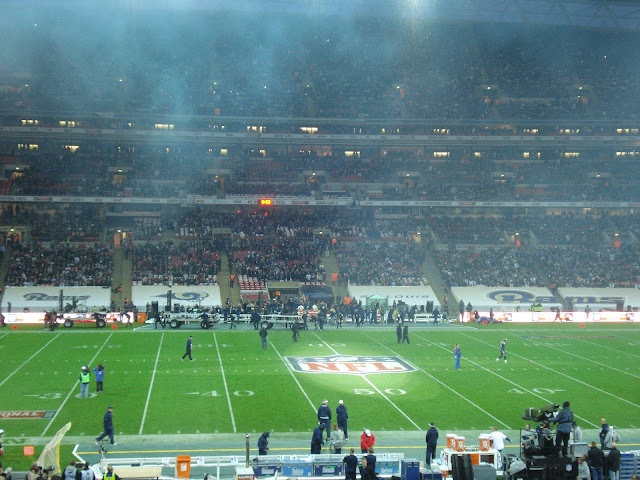 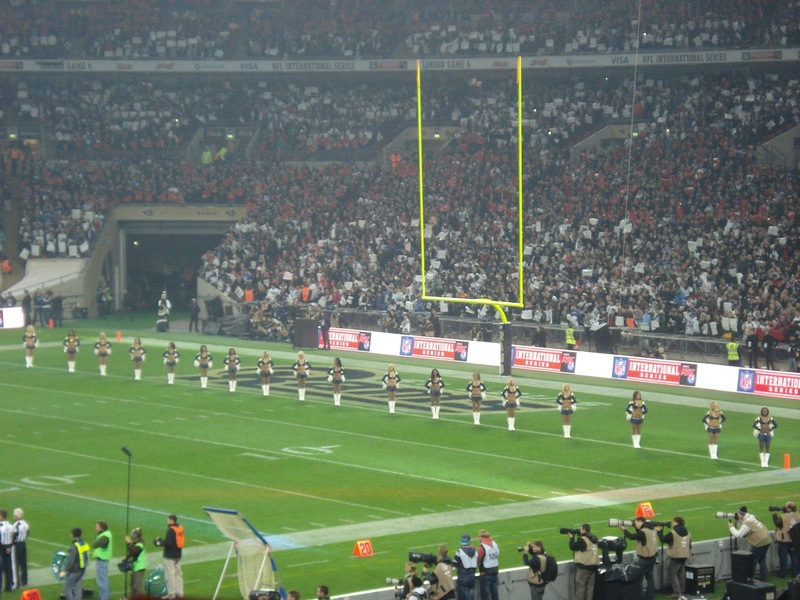 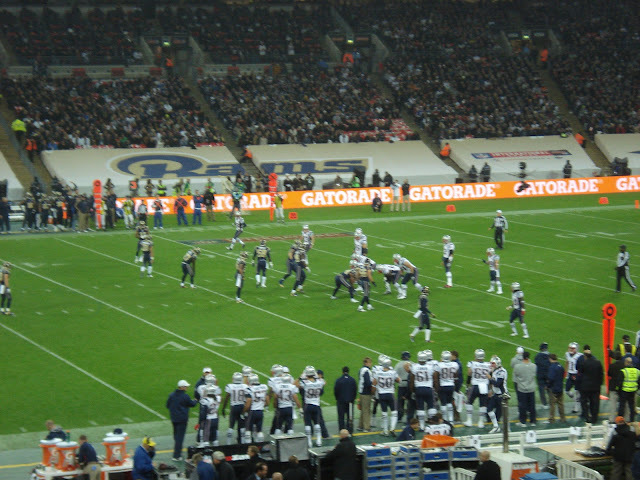 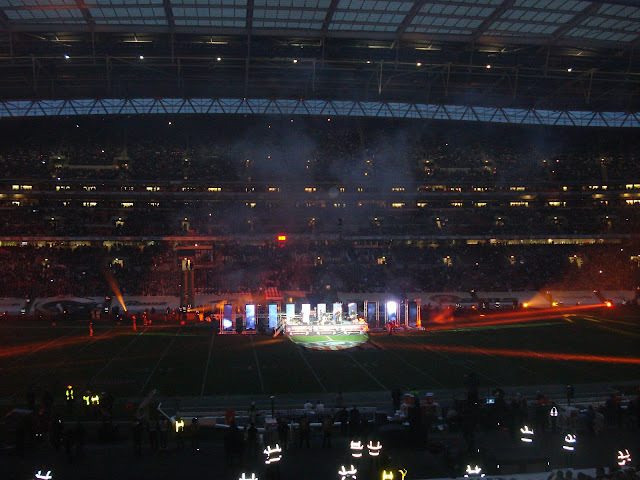 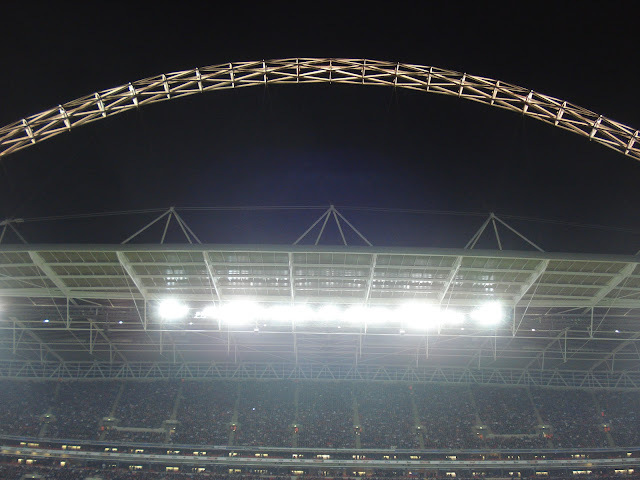 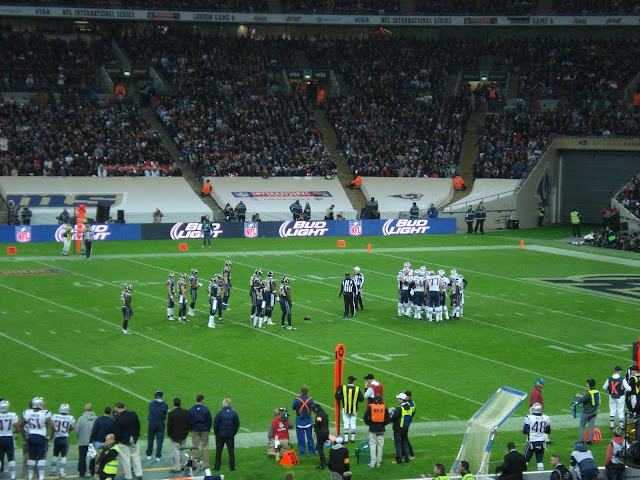 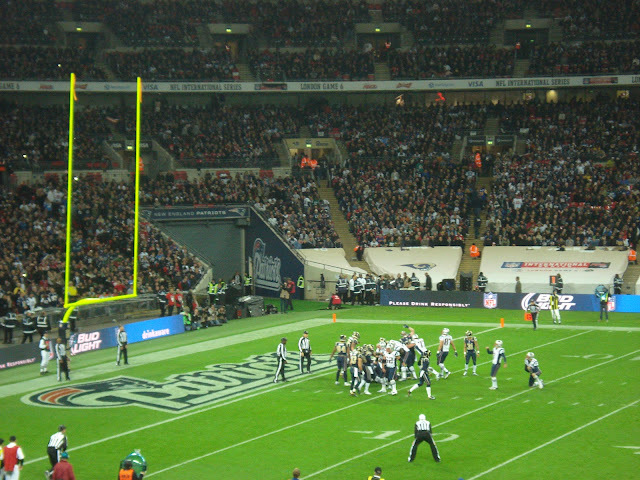 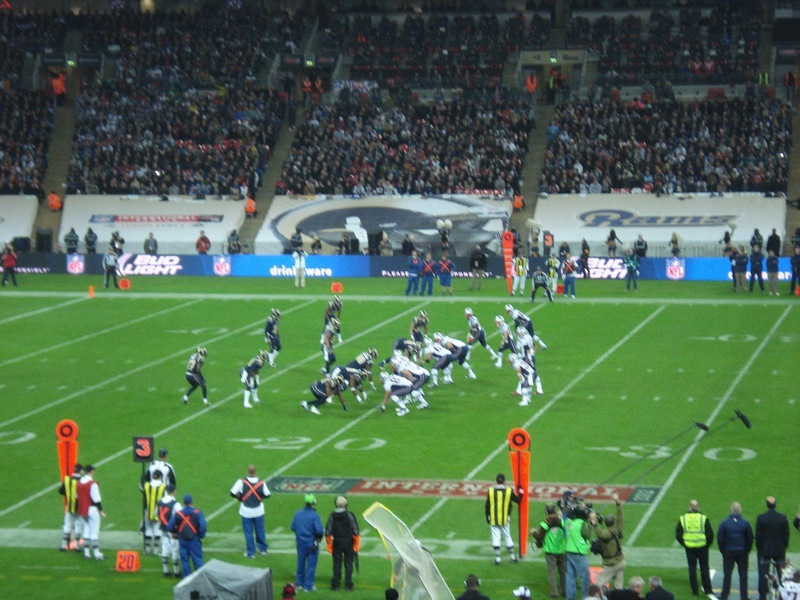 My Dad scored me and a friend some amazing 50 yard line seats at Wembley Stadium for the game against the St. Louis Rams yesterday, where I was surrounded by Patriot’s fans. 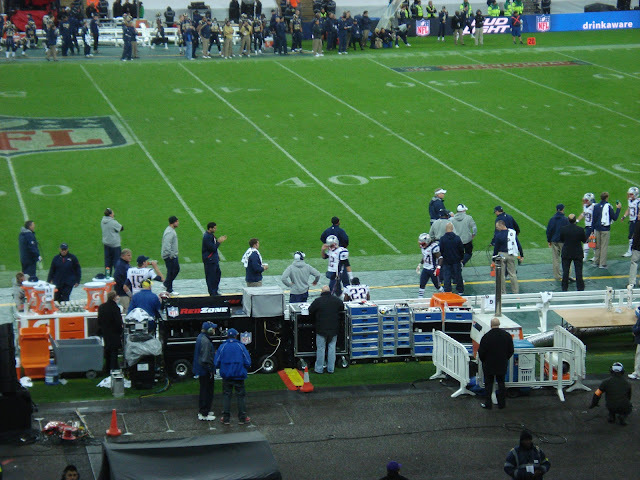 My seatmate was Linda Holliday, girlfriend of the Patriot’s head coach, Bill Belichick. Walking through the stadium and seeing so many friends was like being home in Boston, and the excitement in the stands was palpable. I got a kick out of being at an NFL game where the National Anthem was followed by Kathrine Jenkins singing God Save the Queen. 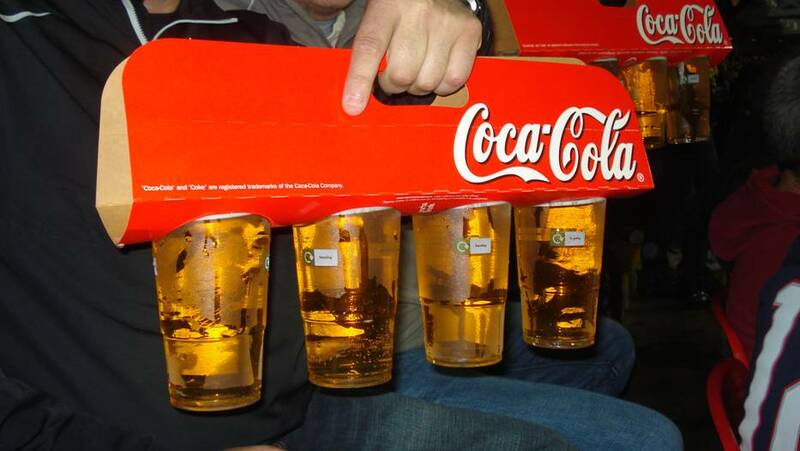 We really need to bring these carriers back to Boston, how cool are they? 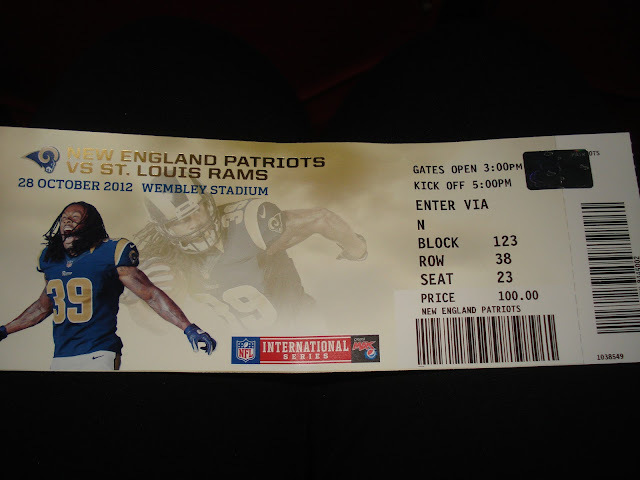 The best part of the evening? The Patriots pulled out a 45-7 win over the Rams. 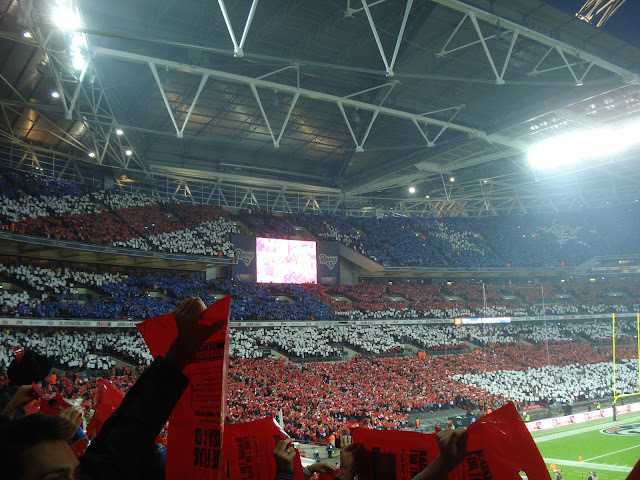 We couldn't have asked for a better result. And thanks to Hurricane Sandy, it looks like my Bostonian friends may be around for a few extra days.